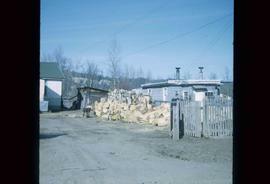 Image depicts a number of sheds in Island Cache. 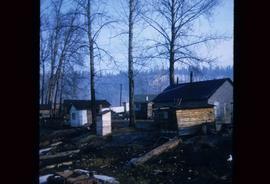 Image depicts a few houses in Island Cache. 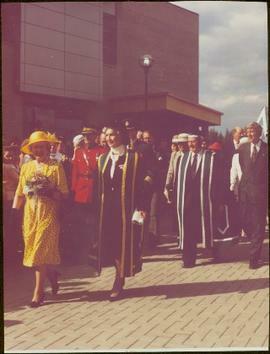 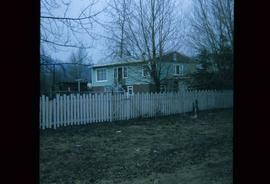 There are two unknown individuals present. 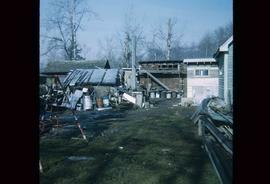 Image depicts a backyard filled with various items piled against a shed in Island Cache. 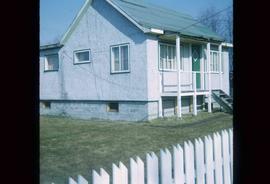 Image depicts a few houses and a dog on a porch at Island Cache. 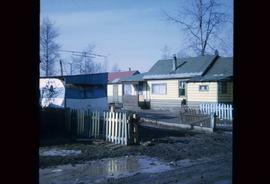 Image depicts a few houses in Island Cache. 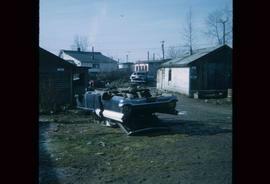 Image depicts several old, ruined cars and an unknown individual in Island Cache. 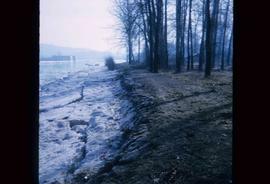 Image depicts a body of water in Island Cache. 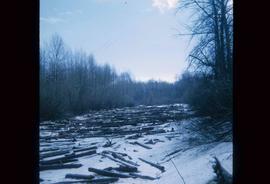 It is possibly a small section of the Nechako River. 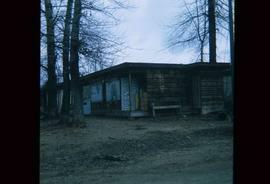 Image depicts a boarded up building in Island Cache. 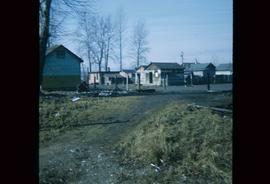 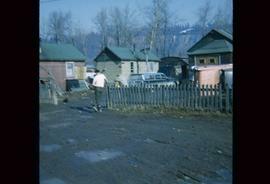 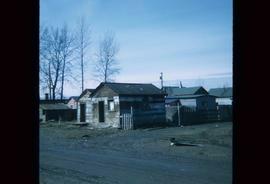 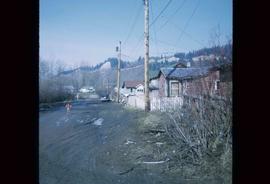 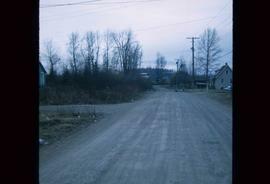 Image depicts numerous houses, and an unknown child standing in a street at Island Cache. 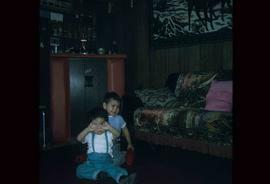 Image depicts two unknown children in a house somewhere in Island Cache. 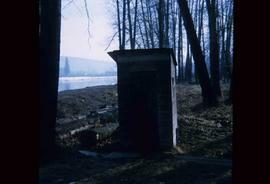 Image depicts what is likely an outhouse at Island Cache. 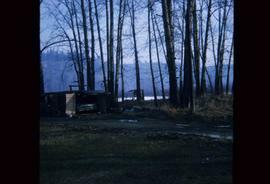 Image depicts a stand of trees and a shed at Island Cache. 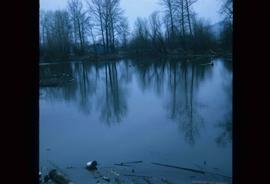 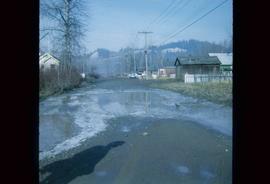 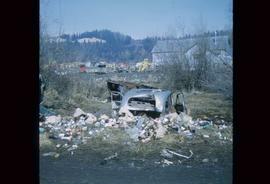 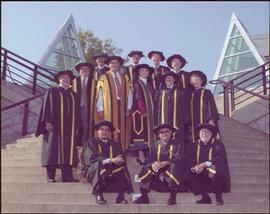 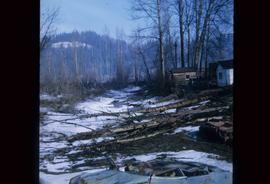 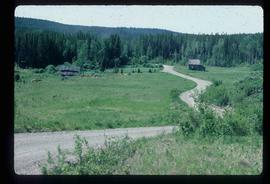 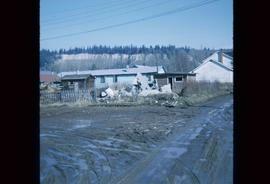 Image depicts the bank of the Nechako River at Island Cache. 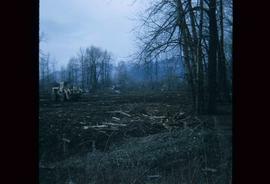 Image depicts an area of cut trees at Island Cache. 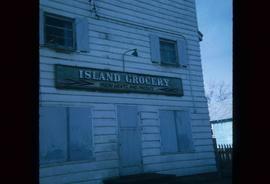 Image depicts a grocery store at Island Cache. 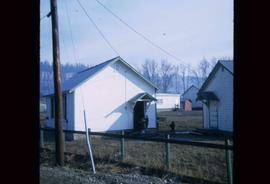 Image depicts a number of small houses at Island Cache. 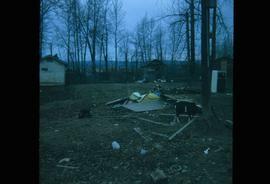 Image depicts the rubble of a demolished house at Island Cache, with several other buildings in the background. 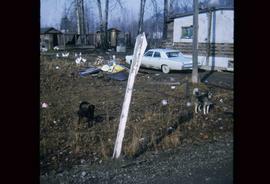 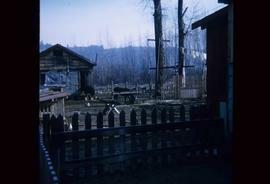 Image depicts two dogs and numerous chickens in a yard at Island Cache. 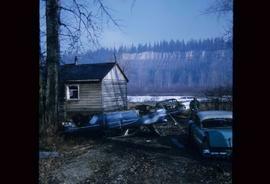 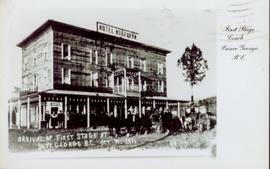 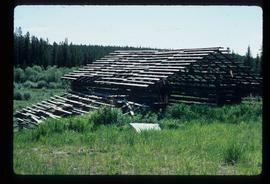 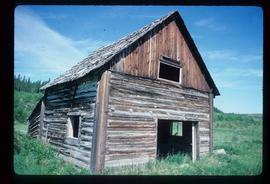 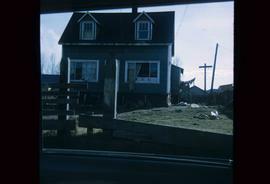 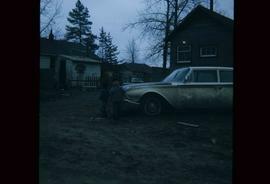 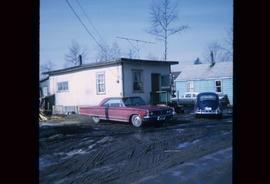 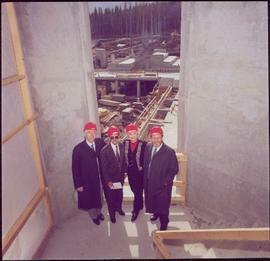 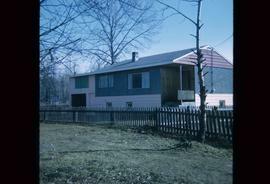 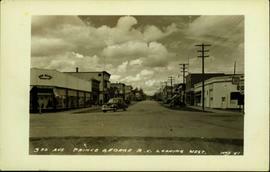 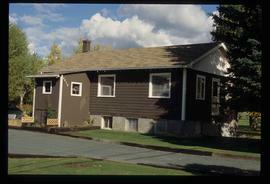 Image depicts a house, most likely on Thompson Drive in Prince George, B.C. 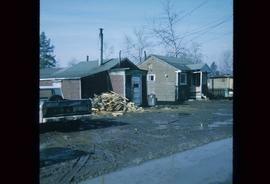 Image depicts a shed on Blackwater Road. 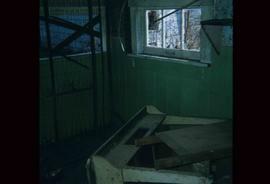 Image depicts the interior of an abandoned, deteriorating cabin on Blackwater Road. 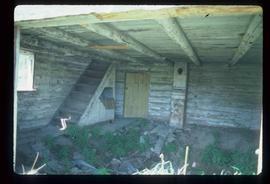 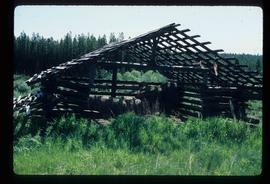 Image depicts an abandoned, deteriorating cabin on Blackwater Road.